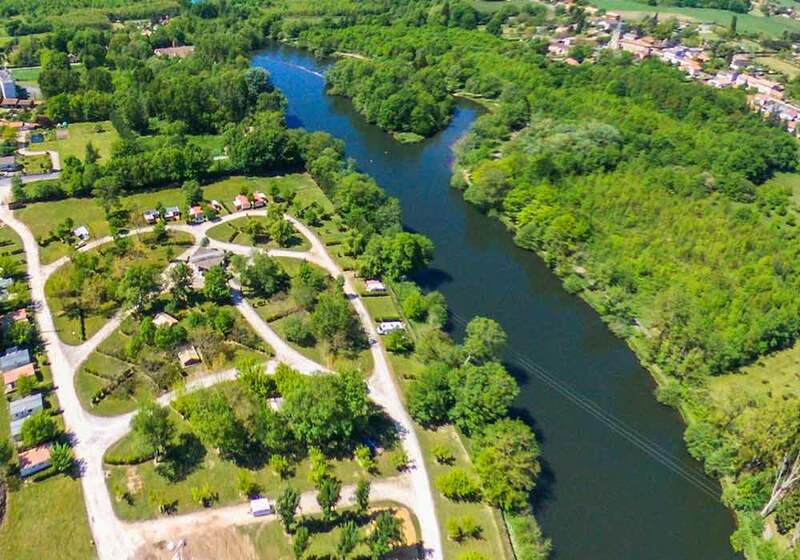 Intro by Campsite... 'Our riverside site is situated in Montpon-Ménesterol in the Perigord Blanc area of the Dordogne. A warm family welcome to our peaceful and relaxing site, in its green environment, will help to make your holiday a success. Note: English spoken. La Cigaline has 120 pitches spread over 7 acres, to accommodate your motorhome, caravan or camping requirements, with a choice of open, part or fully-shaded pitches. Alternatively, as shown, you can hire one of our mobile homes or tents.